Linda Kasabian waits in the car outside of the courtroom during the Manson Family murder trial. Aug. 11, 1970. 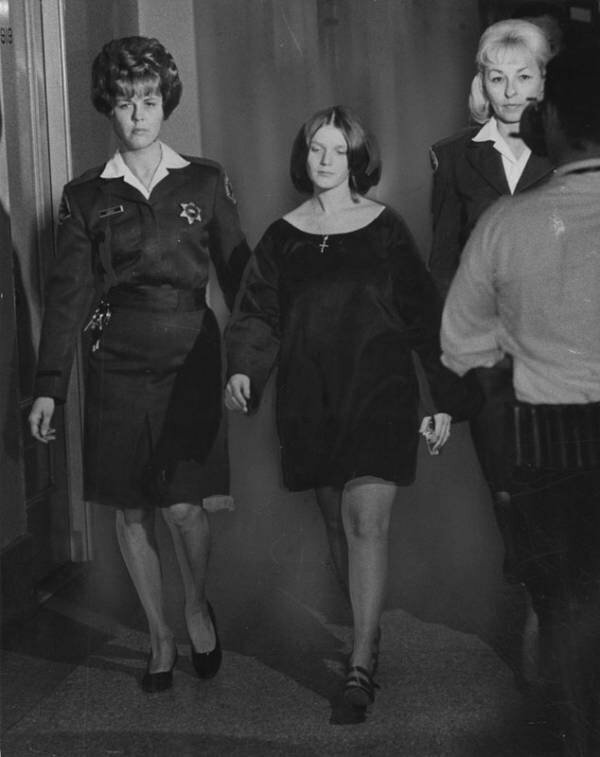 As the star witness in the Manson Family murder trial, Linda Kasabian, made her way into the courtroom she caught the eye of a man she knew well. It was Charles Manson — with whom she’d lived, made love, and now against who she was going to testify. Where Kasabian once saw a message of love and understanding in his eyes, she now saw only hate. The man she’d once thought of as a messiah was glared at her as he traced a finger across his neck. Kasabian knew full well what Charles Manson was capable of especially since she had herself been a member of the Manson Family, his personal cult. She had lived on the Family’s compound and joined in on their wild, drug-fueled experiments in free love. She’d even been there during the murders, sitting outside in the getaway car, listening to the victims scream while her friends plunged knives into their stomachs. Though the Manson Family members were among the first people who’d ever made Kasabian feel accepted and understood, seeing them blood-stained after having massacred a pregnant woman had been far too much for her. Somebody had to stop them. And Linda Kasabian was the only person who could do it. Charles Manson in court. March 6, 1970. Kasabian’s mother struggled with a question American society had wrestled with ever since the Manson Family murders: why would any woman follow Charles Manson? Byrd blamed herself but Kasabian blamed her step-father. It was the abuse from Byrd’s second husband, Kasabian claimed, that made her run away from home at the age of 16. From then on, Kasabian was on her own and traveled around America experimenting with drugs and men in search of a sense of belonging. When she met Manson in 1969, she was at the tail end of a failed experiment in filling that void with a family of her own. She’d married a man named Robert Kasabian and given him a daughter with a second child on the way. Her new family, though, was already falling apart. Mr. Kasabian had abandoned her and their child in Los Angeles while he went off to South America, leaving the Mrs. lonely and desperate for love. 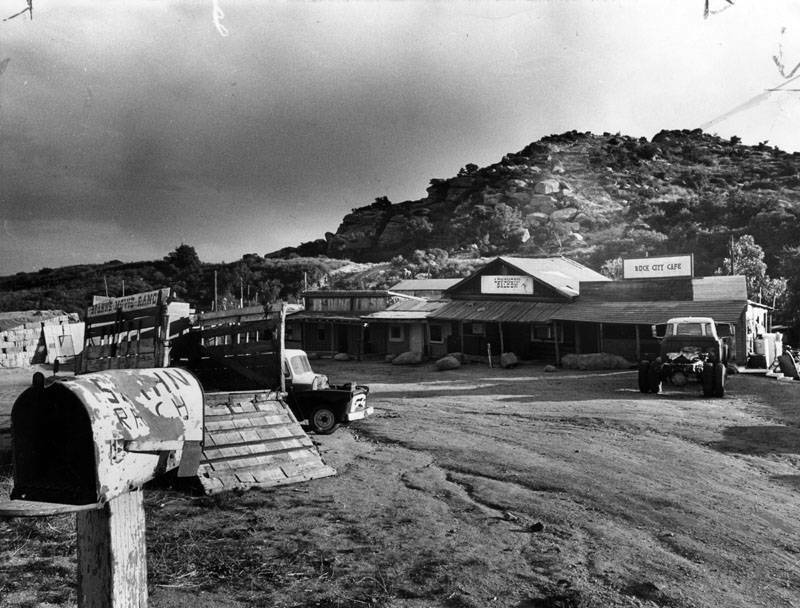 The Manson compound, Spahn Ranch. 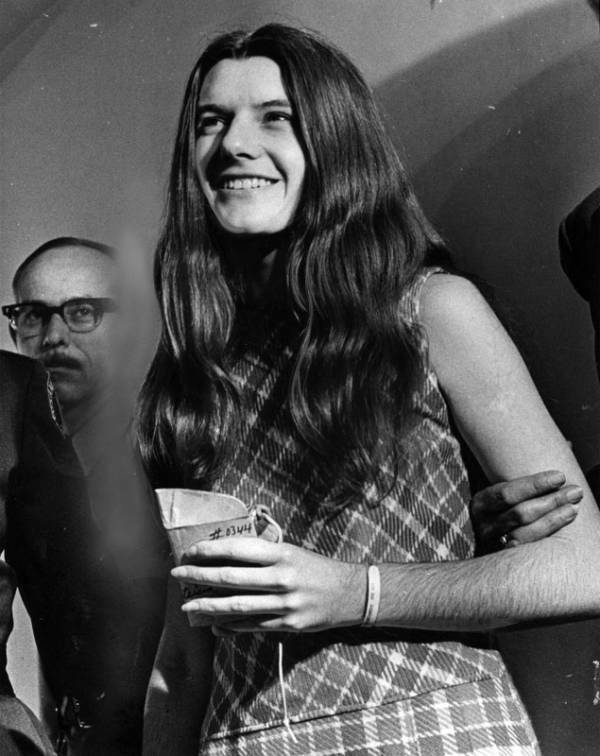 To Linda Kasabian, the Manson Family represented the love she so desperately craved. When a friend invited her out to a party at Spahn Ranch, Charles Manson’s compound, Linda was only too eager to go. For her, it was all part of a religious pilgrimage. Charles Manson appeared Christ-like to her, and Kasabian believed that he could see through her in a way no one ever had. When Manson told her that she had a “father hang-up,” she became convinced that he was the first person to truly understand her. She made love to him that night. Soon enough, Kasabian became the newest member of the Family. Her life became a daily routine of LSD, music, dancing, orgies, and as Kasabian put it, “just being free.” In Manson, she believed that she had found the father, lover, and God she was looking for — and all in a single man. She believed she would do anything for him, even kill. 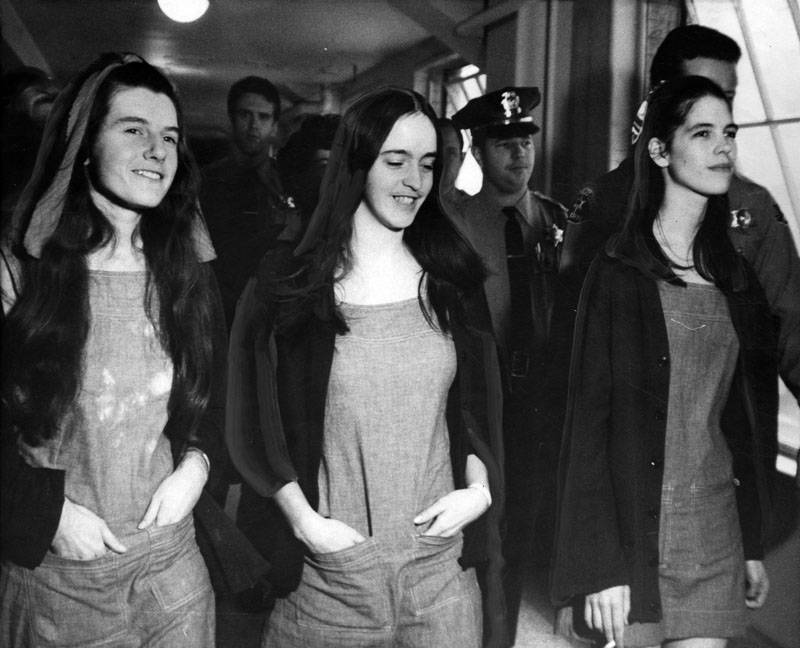 Three Manson Family Murderers: Leslie Van Houten, Susan Atkins, and Patricia Krenwinkel. 1971. On Aug. 9, 1969, Charles Manson told Linda Kasabian to get a knife, a change of clothing, and her driver’s license. Linda didn’t know why but she didn’t ask any questions. She imagined they’d be up to mischief, but she had no idea that, by the end of that night, she would be an accomplice in the murder of five people. 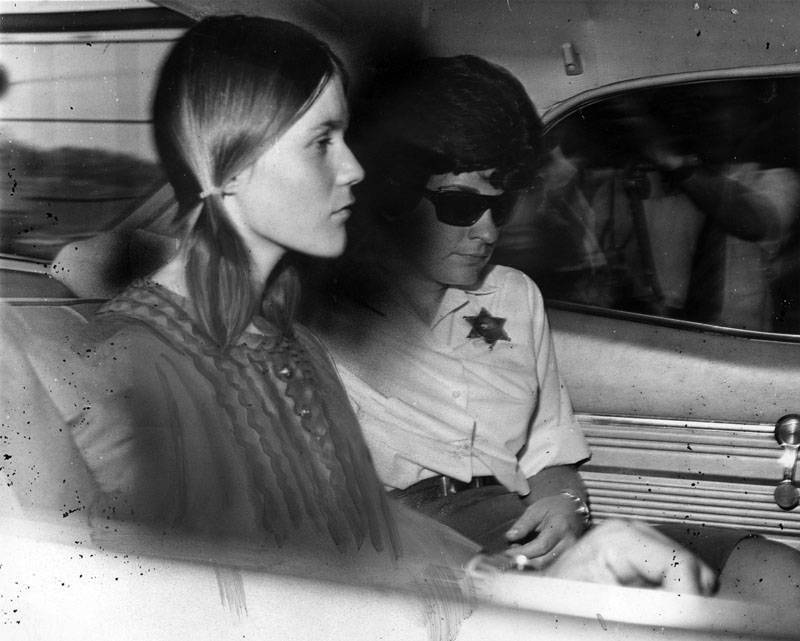 She drove Charles “Tex” Watson, Susan Atkins, and Patricia Krenwinkel to the massive Hollywood mansion and home of the famous director Roman Polanski and his eight-months-pregnant wife, Sharon Tate. Kasabian knew they would be breaking in, but she didn’t know anyone would die or at least, not until another car pulled into the driveway. Tex Watson quickly climbed out and approached the 18-year-old driver. Kasabian silently watched as Tex raised a revolver to the boy’s face and slashed his wrist with a knife. The boy helplessly pleaded for his life, but the killer was unmoved, rapidly firing four shots into him. Patricia “Katie” Krenwinkel, the 22-year-old girl who participated in the Tate Murders. Circa March to July 1970. Atkins met her eye. For a second, Kasabian must have thought that she had the power to put an end to this. But before anyone said another word, Tex came through the door, knife in hand, and started to stab the fallen man into his head. 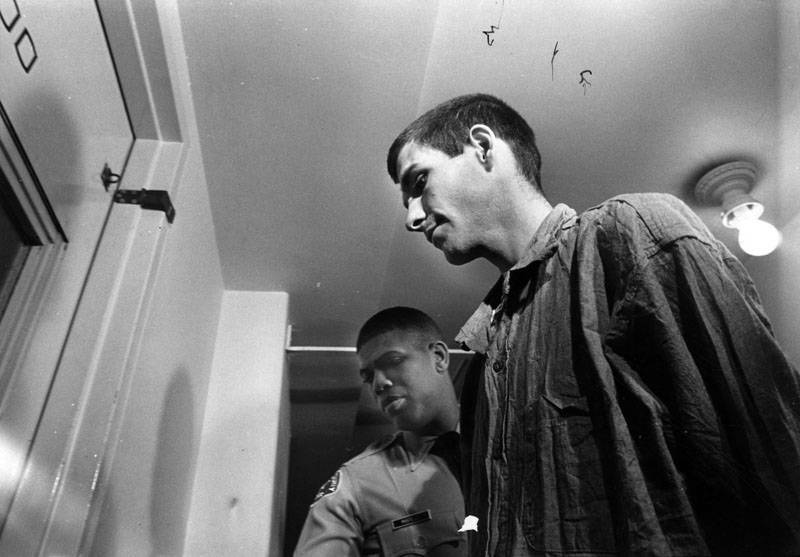 Charles “Tex” Watson during the trial. March 1, 1971. Kasabian didn’t run away that night. She drove the killers back to Spahn Ranch and listened to Krenwinkel complain about how she’d hurt her hand stabbing the woman in white to death. Then at the ranch, Kasabian remained still and quiet as she listened to Charles Manson chew them out for being sloppy. 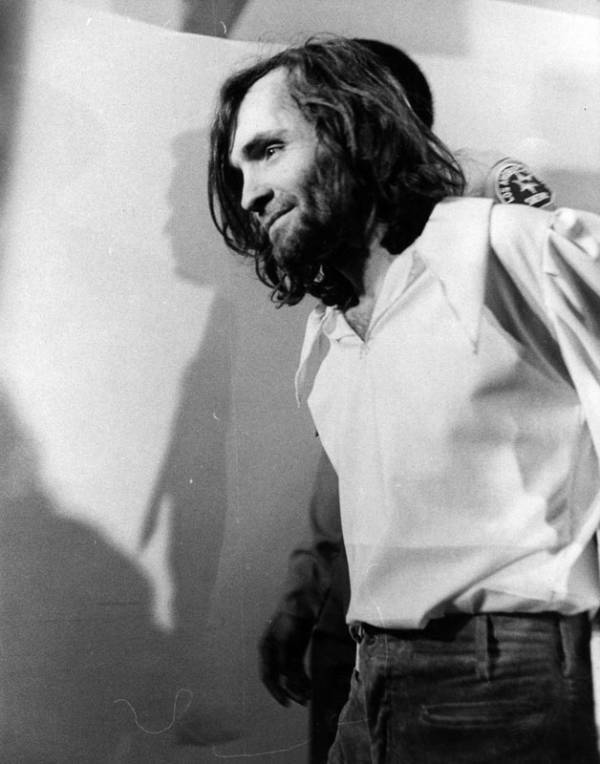 The next night, Manson said, he would go with them and make sure they committed the same horrendous crime properly. Manson was as good as his word. He joined Kasabian, Tex, Krenwinkel, and a new killer, Leslie Van Houren, as they broke into the home of Leno and Rosemary LaBianca. Manson personally tied the victims up and had Kasabian take him for a drive while the others killed them. He wanted Kasabian to kill the next victim herself. He handed her a knife, told her to drive to the home of actor Saladin Nader, and ordered her to slit his throat as soon as he opened the door. Charles Manson barely seemed to realize she’d said a word. He just went on describing in horrid detail how to stick the knife into the actor’s throat. Kasabian only had one hope to save Nader’s life. When they got to his apartment, she deliberately knocked on the wrong door. When a stranger opened, Linda loudly said: “Oh, excuse me. Wrong door.” It worked. The other killers with her believed Nader was gone, and one man, at least, got out of the Manson’s killing spree alive. Less than 48 hours later, Linda Kasabian snuck out of the ranch. She ran through the night, a mad dash to the only home she had left: her mother’s. Linda Kasabian at a Los Angeles court shortly after surrendering to the New Hampshire Police. Sept. 1, 1970. There were more forces working against Kasabian than just the prosecutors, though. There was the Family, which had openly threatened to kill her if she testified. Then there was the defense lawyer who had no qualms with dragging her name through the mud, calling her a drug addict, a psychopath, a liar, and even framing her as the mastermind behind the killings. Kasabian had to relive every horrible moment of what she had witnessed in front of a jury and a slurry of reporters who would ensure that this would be her legacy and that for the rest of her life, she would be remembered as a woman who took part in the horrifying cult murders of Charles Manson and Family. It was a trial for Kasabian both inside and out. When they showed pictures of the crime scene in court, Kasabian broke down in tears. While she cried, the killers just stared with cold, expressionless gazes on their faces at the mutilated bodies of their victims. 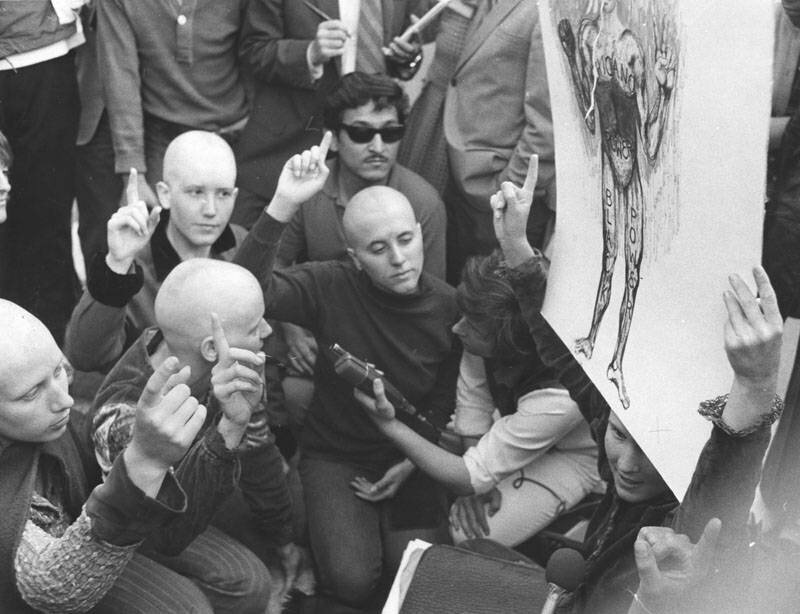 Members of the Manson Family with their heads shaved in protest of Charles Manson’s conviction. 1971. Life, though, doled out its own punishments. Kasabian avoided being locked behind bars but after the case, which brought her every sexual proclivity to light, her marriage and relationships fell apart. She would have been alone if not for the Secret Service which hounded her every step for years to make sure she wasn’t just another killer waiting to pounce. The media followed right behind them all too eager to get any printable word they could on the Manson Family murderers. In time, she managed to disappear and hide and lived under an assumed name to keep the media away. When the media finally tracked her down in 2009, Kasabian was living alone in a trailer park in abject poverty. There’s no reward for doing the right thing. Kasabian stayed out of jail, but she was stuck in a figurative prison within the outside world where she was trapped by a wall of paparazzi and slander that kept her from living a normal life. But Kasabian’s solace was that she had put an end to the Manson massacres. Whatever she had to lose to make it happen, she ended the terror of Manson and his followers.